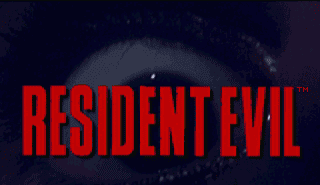 Resident Evil was released in 1996, and changed the gaming world. It also apparently taught a lot of people some interesting lessons. Japan's biggest online billboard, 2ch, was abuzz recently under the thread titled, "What we learned from Biohazard (Resident Evil)" (俺達がバイオハザードから学んだこと). Here is a sample from the life lessons of Resident Evil. For close-quarters combat, a knife is faster. The gun called a Magnum is super strong. You can heal wounds with herbs. If you're a protagonist, getting bitten by a zombie doesn't infect you. Run close to the walls. You can take care of any monster, so long as you have a knife. You can resurrect people with an emergency spray. Don't work for a pharmaceutical company. Make sure you lock rooms with pointless puzzles. Do not ride Capcom helicopters. Of course, just how much of this is applicable in real life is debatable. But then again, I've never been one of the most apt of pupils.